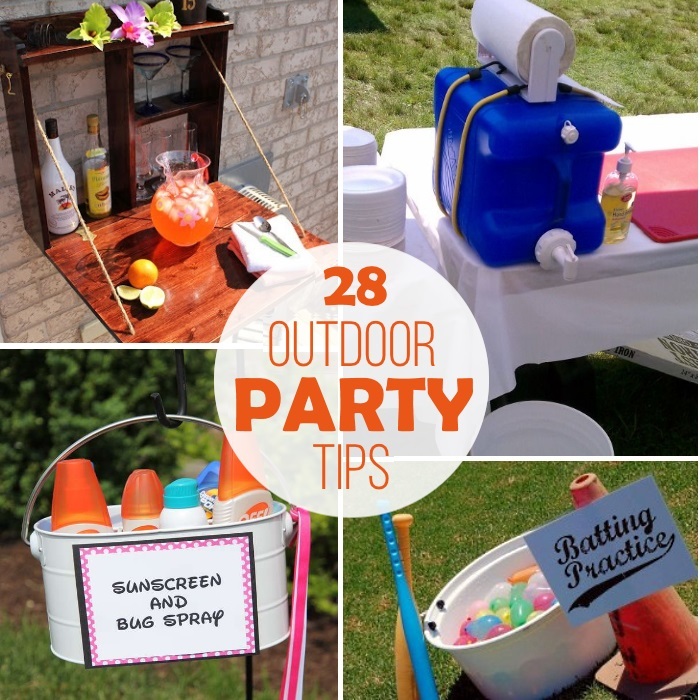 Entertaining outdoors is what makes the summer fun! You get all the joy from having people over and with these tips your party planning and party clean-up will be easier than ever. 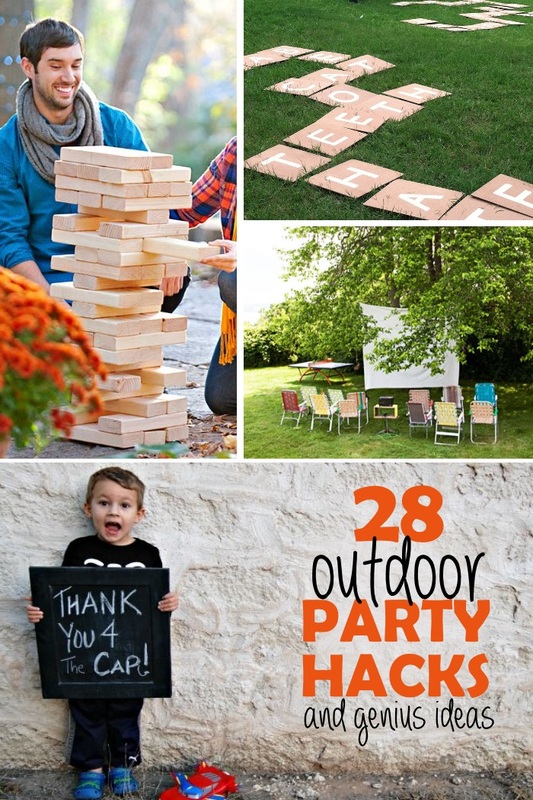 With these Stress-Free Party Tips you can get ready now and in a weekend bring your deck from blah to ah-maz-ing! Every party needs entertainment “zones”. You can use your yard for games, the deck for food, even have a handwashing and trash station to help your guests feel more comfortable. You can redo your patio stones, your deck, even portions of your fence to make zones. Setting up your “zones” ahead of time helps your party go more smoothly! Think outside the box. 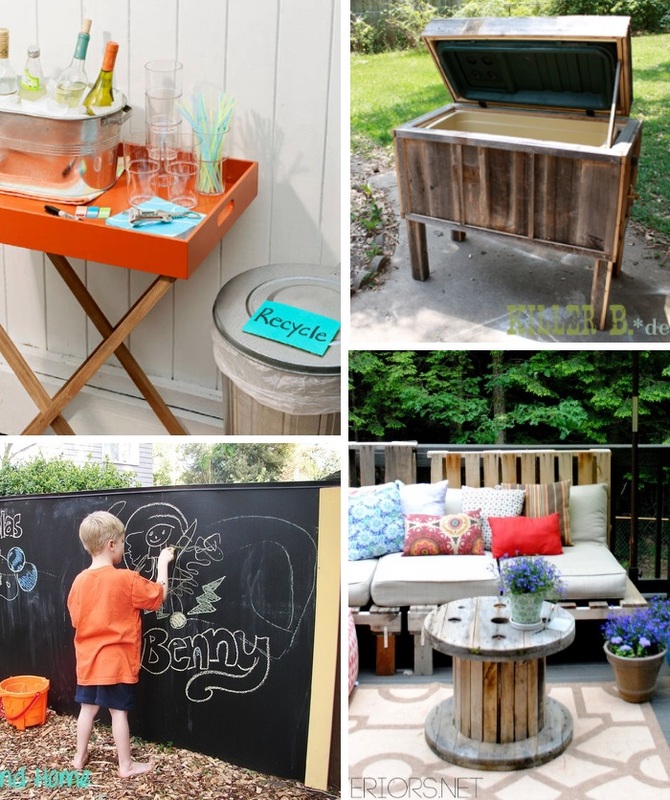 If you have a small deck, consider making a drink station on the side of your house or even your fence. Create a station for your guest to reapply Bugspray and Sunscreen. It’s the little things that will bring your party from great to terrific. Washing your hands before you eat is a necessity for most parties, but is also something most guests forgo. Make a handwashing station. The watermelon covered hands will thank you. Don’t forget the trash. Your trashcan needs to be in an easy to access location – check out this trashcan makeover. Think about placing drinks away from your food. This will help guests mingle more and they won’t need to worry about balancing their plates and cups at the same time. If it’s warm out, consider having a water balloon batting game. Set that zone up far away from the seating area. Plan some games. Yard scrabble is a great way for your guests to use their words and enjoy each other. 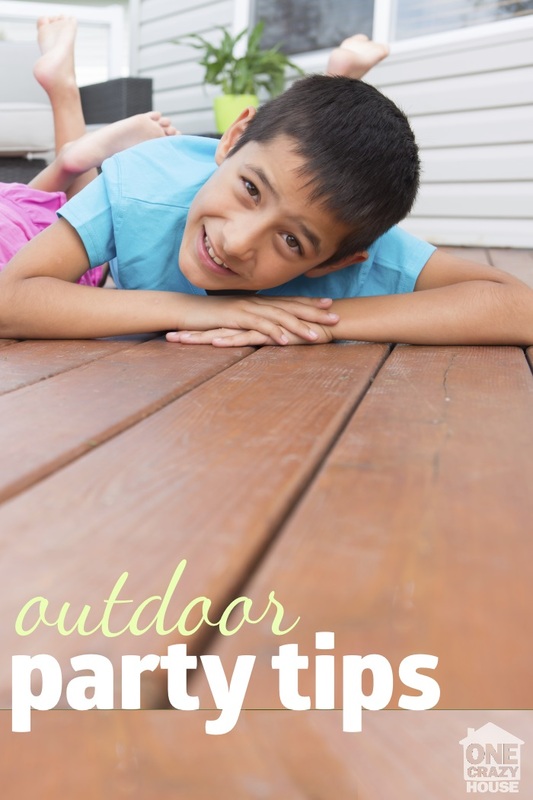 Don’t forget about the kids when you are redesigning your deck. Add some black chalkboard paint to a panel on your fence for the kids to color on – for a giant chalkboard. Do you have a giant UGLY water cooler? If you have scrap wood leftover from a deck remodel, consider using some of it to create a cooler. No more bending over. So your deck is now gorgeous, time to upgrade the furniture, without breaking the bank. Make your own pallet lawn furniture. 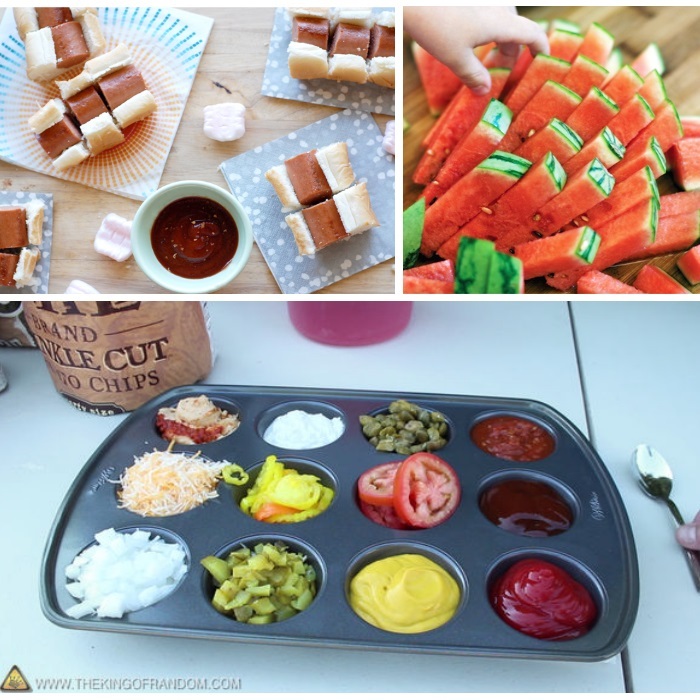 If you don’t want to spend your time over the grill, consider cutting up a batch of hotdogs ahead of time, to be grab-and-go party finger foods. Special moments are often centered around food and eating together! Become a grill master with this “How to Grill Food Chart“. Get your charcoal grill started quickly and easily using this Egg carton Charcoal method. Enjoy some S’more Cones for dessert – these are such a hit with the kids! Cut a watermelon, the right way and save your fingers from the sticky goo. Protect your food table from the bugs! 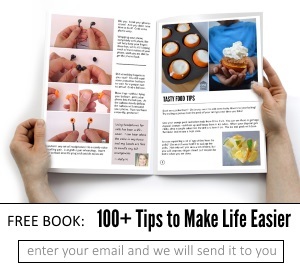 Make a set of “climes” – cut a lime in half and cover it in cloves. The bugs hate them! Party Hack: Fill up water balloons and freeze them ahead of time to fill a cooler bucket. Perk: When the party is over your kids can have a water balloon fight on the patio to “clean” it off, bringing your DeckOver back to new. Make drinks fun and personal in these party tips. Use chopped up popsicles as ice cubes to fill your glass. Top off with club soda. 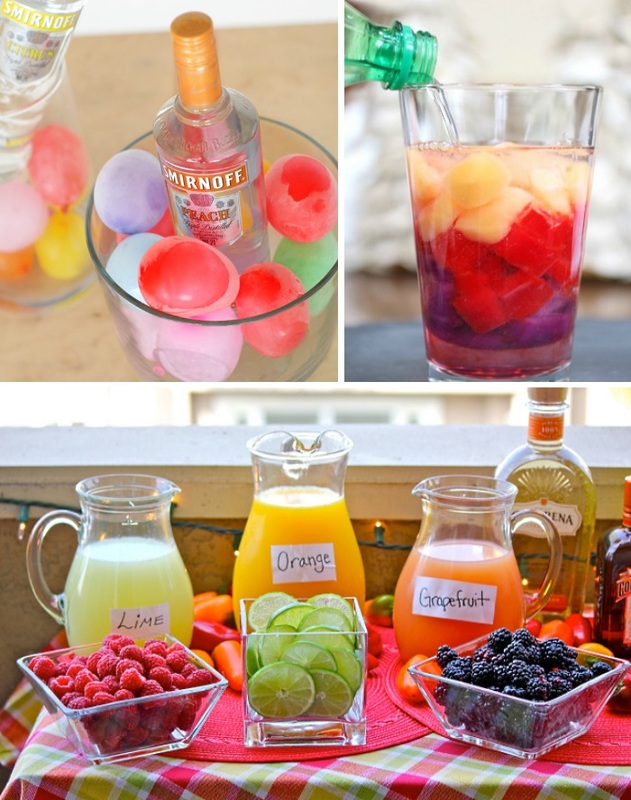 Liven up your drinks to make them memorable. You can add Lavender to your Lemonade, or infuse your water with fruit. You can even have a mix-your-own bar. Games – Get People Interacting! Get your Jenga on! Make a giant tower of jenga blocks from scrap wood. You can even paint these a variety of colors using the Behr DeckOver product for a water-sealed game. Yard scrabble is a blast!! You can make your own variation with giant wood letter cards. Make your own Movie Theater. Set up a sheet, some yard chairs and have your very own movie screening. What a fun family tradition! Don’t forget to say “Thanks” afterwards. If this was a party where gifts were given, have your child take a photo with each object while you are cleaning them up.